Regret. You may try hard to live your life without it, but if it’s a tattoo permanently inked on your skin, it may not be that easy. But with advances in laser technology, you don’t have to live the rest of your life with your high school sweetheart’s name tattooed across your chest. Our expert dermatologist, Dr. Bruce Saal, and his team understand if you want rid of a poorly-thought-out tattoo. 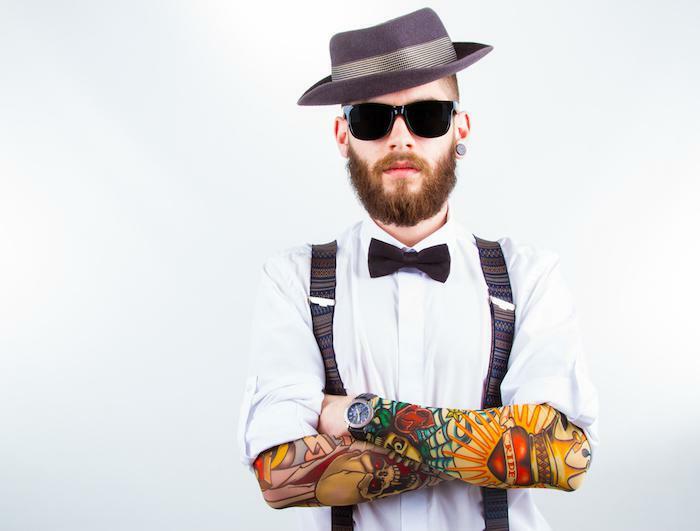 Our office here at Los Gatos Dermatology is equipped with the latest in laser tattoo removal to help you go back to your no regrets way of life, sans tattoo. Can laser tattoo removal get rid of the entire tattoo? Read on to learn all about laser tattoo removal. When it comes to tattoo removal, the Food and Drug Administration says laser treatment is safe and effective, and makes a better choice than dermabrasion -- sanding off the tattoo -- and surgical excision. That being said, you shouldn’t go to a spa or your local tattoo shop to get laser removal of your tattoo. For best results under the safest conditions, tattoo removal should be done by a specially-trained dermatologist who knows how to operate the laser, like Dr. Saal. 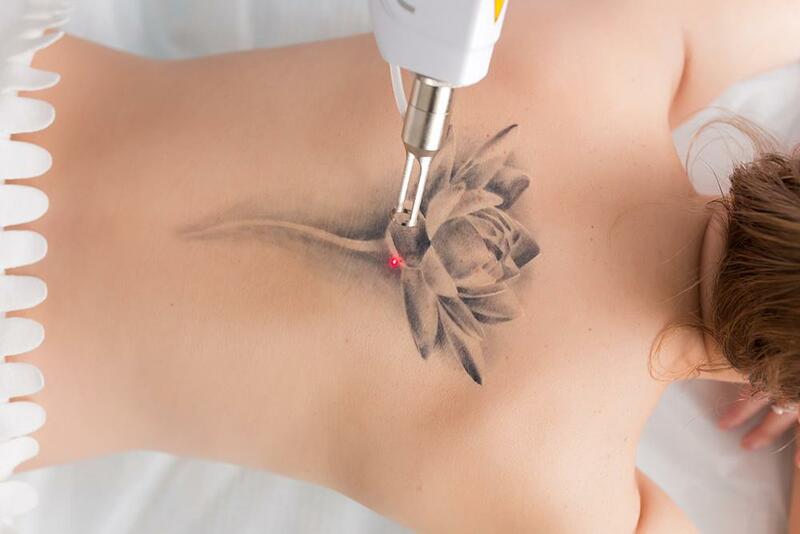 During treatment, the laser passes through your skin and targets the pigment of your tattoo. The heat from the laser light breaks the pigment into tiny particles, which your body then excretes. If you’ve ever walked on blacktop without shoes on, you know that dark colors absorb light better than light colors. Laser treatment acts much the same way, fading the dark colors first. Lighter colors, such as yellow, red, and green, are much tougher to remove. Dr. Saal’s office is equipped with devices that allow for variations in laser light wavelengths to target the lighter colors and improve total removal of your tattoo. Unfortunately, laser tattoo removal isn’t painless, and you may feel a pinch-like pain when the laser is targeting your tattoo. But the laser is able to isolate the pigment, so there’s no damage to your skin. The only thing the laser breaks up is the ink. To ease the pain, topical anesthetics are sometimes used during treatment, although most people don’t find it necessary. But it can’t hurt any worse than when you got the tattoo, which was done without any numbing agent. Laser tattoo removal is safe and effective, but the process takes time. How much time depends on the size, color, location, and age of your tattoo. But no matter what, you’re going to need more than one visit to get rid of the tattoo. Most people need five to eight treatments in 8-12-week intervals, which means it can take a year or longer to completely remove the tattoo from your skin. The good news is, researchers are currently looking at techniques that remove tattoos even faster. Laser tattoo removal is safe for all skin types and body parts, even the face. So, if you’ve been trying to cover up your tattooed eyebrows or lip liner, Dr. Saal has a solution. If you’re ready to get rid of your tattoo, call us at Los Gatos Dermatology, or click here on the website to make an appointment using the online booking agent.